Carolyn Herrera was born and raised in Oxnard, with over 20 years of real estate experience and knowledge of Ventura County; making Carolyn your go to Realtor. She has a passion for helping her clients make their home ownership goals a reality. Call her direct for a strategic plan to get you into your first home, and if it is the right time; sell and move up or downsize your way of living. Carolyn looks forward to hearing from you. Carolyn is well versed in beach homes, investments (1031 tax deferred exchanges), condos, single family homes (condos, townhouses), residential income. Carolyn serves Oxnard, Port Hueneme, Ventura, Camarillo, Somis, Thousand Oaks, Westlake, Newbury Park. Our objective at Esquire Property Management is to provide our clients with full-service real estate brokerage. We offer not only property management and leasing services, but brokerage services for buying and selling property across all real estate segments in Ventura County– single family residential, small multi-family residential, apartments and commercial property. Unlike most of our competition, we align our goals with those of our clients. Because of this business philosophy, if we make a ‘buy’ recommendation to one of our clients for a particular income property, the odds are that our company is going to be handling the leasing and property management as well. In one way or another, we’ll be responsible for the performance of the investment after the initial sale. Whenever we begin working with a new client who wants to invest in income-producing real estate, we begin with doing some fact finding to get an idea of the client’s real estate investing background and experience, comfort level with different property types, and overall expectations for the investment. This is because the characteristics of single family homes, small multi tenant property, apartments and commercial investments are all different. For buyers, we offer years of extensive experience in renovating and rehabbing, leasing and managing and because Esquire is a full service real estate company we will be there from start to finish. When the time comes to sell, exchange or add to your existing portfolio our carefully cultivated network of qualified real estate investors allows us to offer your property to only the most serious of buyers. Because we have been successfully managing and leasing your property, we are in the perfect position to market it to a prospective buyer. In addition to overseeing the operations of Esquire Property Management, the principals of our company – Carolina Guillen, Tracy Lu Guillen and Monica Valdez – will professionally represent you in the purchase or sale of your real estate investment. 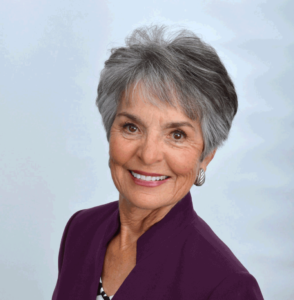 Carolina Guillen has over 30 years of record-setting real estate experience in Ventura County and has received numerous awards in recognition of her outstanding performance, including Oxnard’s Realtor of the Year. From the very beginning of her real estate career, Carolina has earned a well deserved reputation of honesty and integrity from her clients. She also believes in giving back to the community and is active in various public and community services. 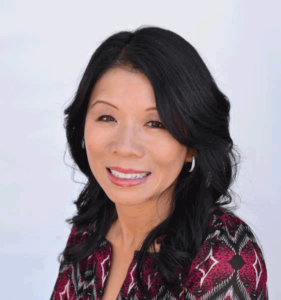 Tracy Lu Guillen has been personally involved in literally hundreds of real estate transactions and has inspected over 2,500 income producing properties. Since 2004 she has managed a sizable portfolio of investment property in California and is an expert in buying, selling and managing real property. 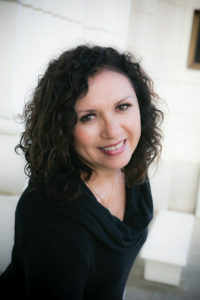 Tracy is a graduate of the UCLA School of Law and a member of the California State Bar. She applies her legal experience to all aspects of the real estate transaction to ensure that her clients receive the utmost protection. In addition to her Juris Doctorate from UCLA, Tracy also holds Bachelor of Science and Bachelor of Arts degrees from UC Santa Barbara. Monica Valdez brings her multiple years of experience to Esquire Property Management where her real estate sales and negotiating experience, and her attention to detail and client satisfaction are second-to-none. Through dedication and hard work she has earned her place as one of the best and brightest of Ventura County’s real estate agents. Monica has a thorough knowledge of the real estate markets in Oxnard Shores, Seabridge, Hollywood Beach, North Oxnard to Camarillo and Village at the Park. She can frequently cite the most up-to-date facts and figures without having to refer to a computer or spreadsheet. Esquire has a full team of Realtors to match our clients needs. Realtor professionals include Aileen Franco, Natasha Malagon, Laura Velasco, Monica Valdez, Carolina Guillen, Tracy Lu Guillen, Greg Guillen, Tony Laura. Through their combined experience, education, charitable activities and networking within the real estate community, Carolina, Tracy and Monica will guide you through each and every step of buying, selling or adding to your portfolio and ensure that your transaction is as profitable as possible.